Does your horse have talent? 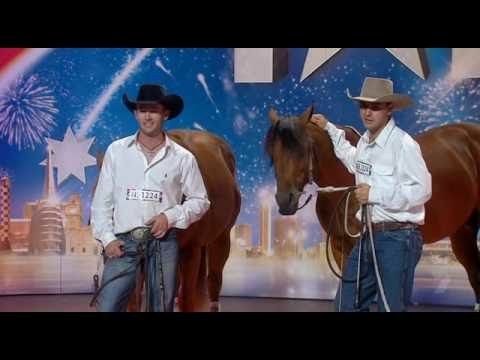 Check out the video of Australia got talent show featuring two horses and their cowboys. It’s a riot and really MUST be seen to be believed! My sister loves horses, and I think she would love to go see a show like this. It is amazing what they can train these animals to do. I love that hey displayed their talent and also made things fun. I’ll have to see if we can find talent like this in our part of the world. Thanks for sharing!